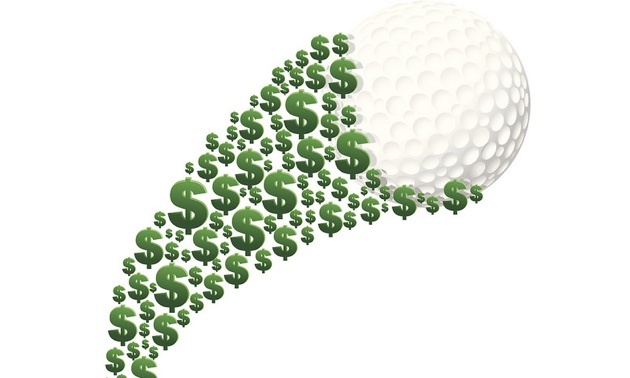 Golf business was better than previously projected -- but should green fees be increased? A recent report came out that said that the state of the golf business was better than previously projected, hinting that green fees could rise over the coming years. This would be a grave mistake, both for golf and for the courses that would seemingly (though short-sightedly) benefit from increased rates. Income equality is a growing gap, with the top-earning people becoming fewer (though wealthier) while the numbers of those struggling financially continue to grow. The time is now to find a way to encourage the socio-economic demographic that is growing (hint: not the wealthy) that it’s a game for them and not shuffling them further aside to make as much as possible off the few who already love it and can (and will) pay, even at an increased cost. There’s already a stigma surrounding the game about how it’s for the wealthy elites of the world, based in the history of exclusive clubs, a perceived (or real, as some clubhouses I’ve been in have proven) culture of snobbery and the (gasp) dress code, either implied or explicitly stated. Do we really want to get to the point in our society where green fees are so expensive that only the wealthiest of us can afford the game? As I’ve said, there are becoming fewer of those people, and the cost is already turning off those of us who don’t have stocks and bonds, mutual funds and summer homes. As more people need to be more careful with their finances or risk financial ruin while fewer people are actually gaining in available disposable income, the game will suffer long-term if we don’t lower prices to accommodate this drift. Basically, if we don’t buck the trend of rising rates now, it will soon be too late to switch direction, a growing percentage of our population will permanently miss out on a beautiful game, and courses will permanently miss out on a growing percentage of our population. Sure, course owners might have to give up their tri-annual trip to some exotic location and only go twice and put in a couple shifts in the pro shop, but I think most would find that favourable to going out of business altogether in a decade and having the land grow over. Then again, maybe golf course owners just want to get theirs, to get it now, and to hell with the future of the sport and those who can’t afford it. I’d like to think they’re better than that. I guess they’ll show me one way or the other in a few years, who’s been creeping their prices up.